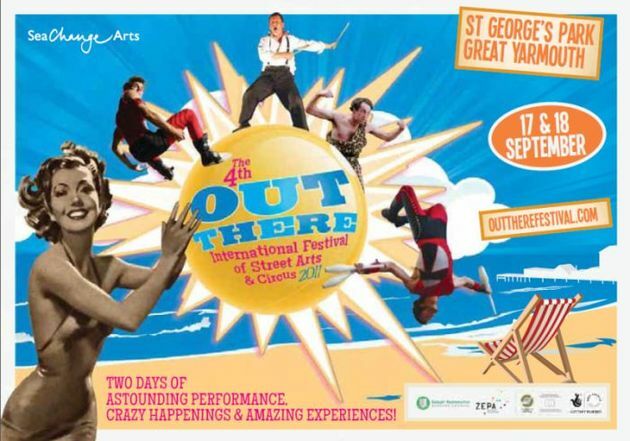 SeaChange Arts have put the finishing touches to the line-up for the Out There International Festival of Street Arts and Circus. Now in its 4th year, the Out There Festival has become the largest street arts festival in the East of England. Once again, the majority of the festival programme will take place in Great Yarmouth’s St George’s Park on Saturday 17th and Sunday 18th September 2011 but with excursions into the town’s marketplace and along the seafront. In another packed programme of crazy happenings, SeaChange have once again drawn heavily from Europe and ZEPA partners. Find out more about the full programme here.